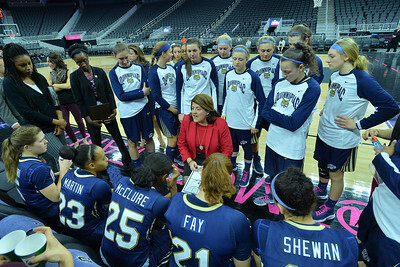 December 21, 2016; Las Vegas, Nev.; Quinnipiac Bobcats head coach Tricia Fabbri talks to her team before the 3rd/4th place game of the inaugural Play4Kay Shootout at the T-Mobile Arena. 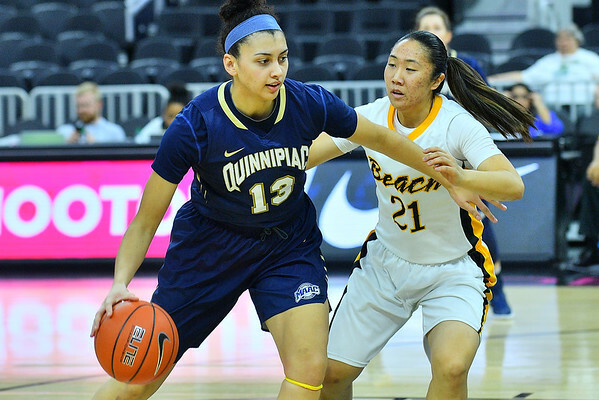 Quinnipiac defeated Long Beach State 63-60. 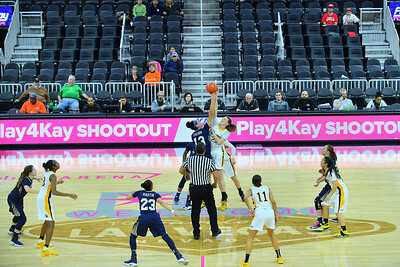 December 21, 2016; Las Vegas, Nev.; The Quinnipiac Bobcats and Long Beach State 49ers battle for the tip during the 3rd/4th place game of the inaugural Play4Kay Shootout at the T-Mobile Arena. 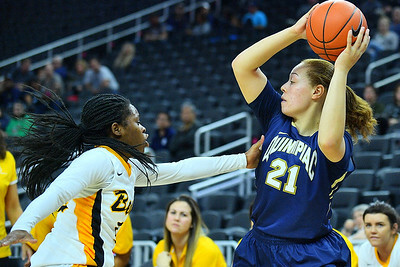 Quinnipiac defeated Long Beach State 63-60. 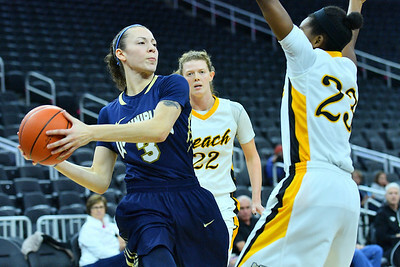 December 21, 2016; Las Vegas, Nev.; Quinnipiac Bobcats forward Sarah Shewan (13) drives past Long Beach State 49ers guard Anna Kim (21) during the 3rd/4th place game of the inaugural Play4Kay Shootout at the T-Mobile Arena. 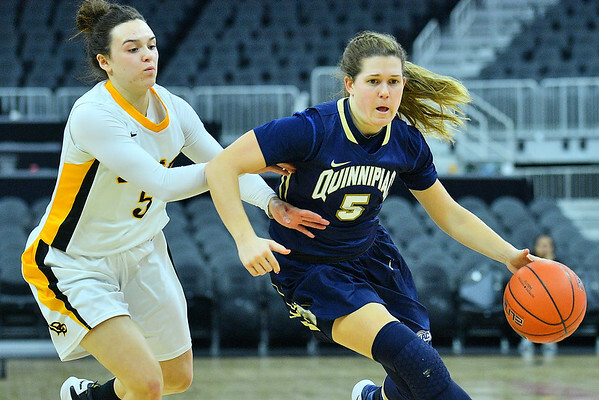 Quinnipiac defeated Long Beach State 63-60. 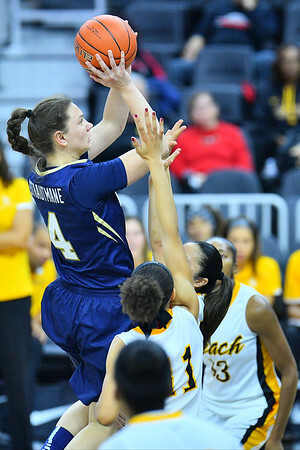 December 21, 2016; Las Vegas, Nev.; Quinnipiac Bobcats guard/forward Aryn McClure (25) is guarded by Long Beach State 49ers guard Katie Webster (2) during the 3rd/4th place game of the inaugural Play4Kay Shootout at the T-Mobile Arena. 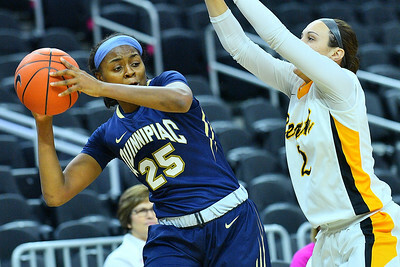 Quinnipiac defeated Long Beach State 63-60. December 21, 2016; Las Vegas, Nev.; Quinnipiac Bobcats guard Adily Martucci (3) looks to pass to a teammate during the 3rd/4th place game of the inaugural Play4Kay Shootout at the T-Mobile Arena. 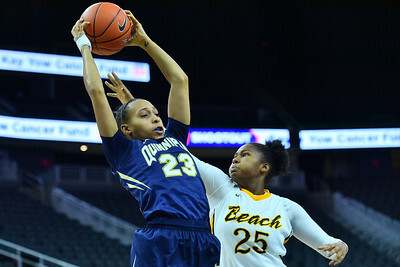 Quinnipiac defeated Long Beach State 63-60. December 21, 2016; Las Vegas, Nev.; Quinnipiac Bobcats forward Morgan Manz (35) shoots a jumper during the 3rd/4th place game of the inaugural Play4Kay Shootout at the T-Mobile Arena. 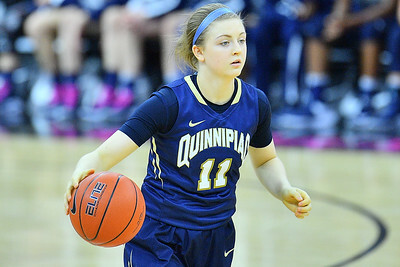 Quinnipiac defeated Long Beach State 63-60. December 21, 2016; Las Vegas, Nev.; Quinnipiac Bobcats guard Adily Martucci (3) lines up a shot during the 3rd/4th place game of the inaugural Play4Kay Shootout at the T-Mobile Arena. Quinnipiac defeated Long Beach State 63-60. December 21, 2016; Las Vegas, Nev.; Quinnipiac Bobcats guard Brittany Johnson (22) lines up a shot during the 3rd/4th place game of the inaugural Play4Kay Shootout at the T-Mobile Arena. 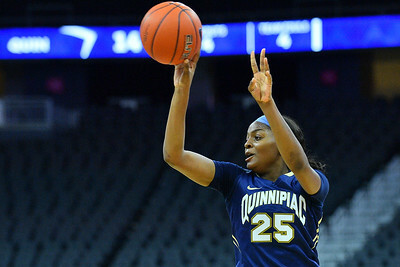 Quinnipiac defeated Long Beach State 63-60. December 21, 2016; Las Vegas, Nev.; Quinnipiac Bobcats guard Brittany Johnson (22) shoots a jumper during the 3rd/4th place game of the inaugural Play4Kay Shootout at the T-Mobile Arena. 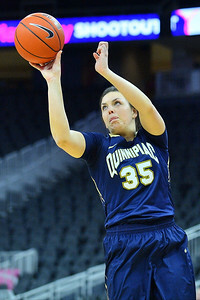 Quinnipiac defeated Long Beach State 63-60. December 21, 2016; Las Vegas, Nev.; Quinnipiac Bobcats guard Carly Fabbri (5) drives past Long Beach State 49ers guard Gigi Hascheff (5) during the 3rd/4th place game of the inaugural Play4Kay Shootout at the T-Mobile Arena. 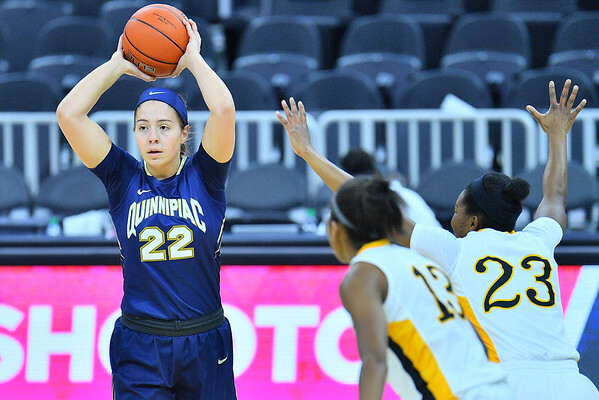 Quinnipiac defeated Long Beach State 63-60. December 21, 2016; Las Vegas, Nev.; Quinnipiac Bobcats guard Carly Fabbri (5) drives past her defender during the 3rd/4th place game of the inaugural Play4Kay Shootout at the T-Mobile Arena. 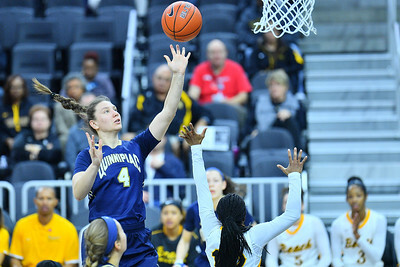 Quinnipiac defeated Long Beach State 63-60. 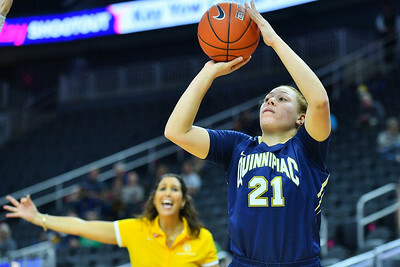 December 21, 2016; Las Vegas, Nev.; Quinnipiac Bobcats forward Jennifer Fay (21) looks to pass to a teammate during the 3rd/4th place game of the inaugural Play4Kay Shootout at the T-Mobile Arena. 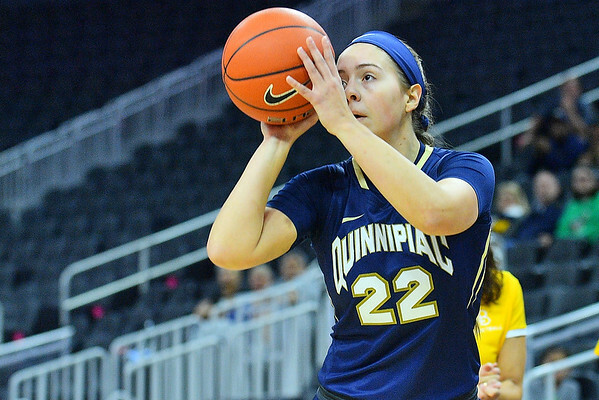 Quinnipiac defeated Long Beach State 63-60. December 21, 2016; Las Vegas, Nev.; Quinnipiac Bobcats guard Brittany Martin (23) grabs a rebound during the 3rd/4th place game of the inaugural Play4Kay Shootout at the T-Mobile Arena. 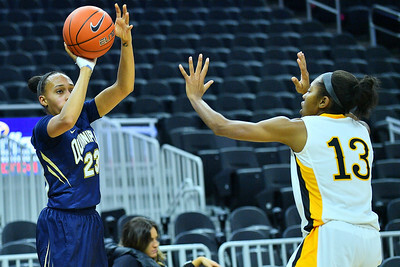 Quinnipiac defeated Long Beach State 63-60. December 21, 2016; Las Vegas, Nev.; Quinnipiac Bobcats guard Brittany Martin (23) lines up a shot during the 3rd/4th place game of the inaugural Play4Kay Shootout at the T-Mobile Arena. Quinnipiac defeated Long Beach State 63-60. 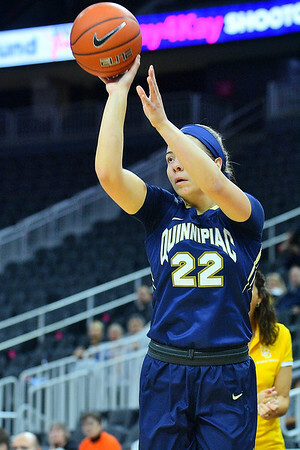 December 21, 2016; Las Vegas, Nev.; Quinnipiac Bobcats forward Jennifer Fay (21) shoots a three pointer during the 3rd/4th place game of the inaugural Play4Kay Shootout at the T-Mobile Arena. Quinnipiac defeated Long Beach State 63-60. December 21, 2016; Las Vegas, Nev.; Quinnipiac Bobcats guard/forward Aryn McClure (25) shoots a jumper during the 3rd/4th place game of the inaugural Play4Kay Shootout at the T-Mobile Arena. Quinnipiac defeated Long Beach State 63-60. 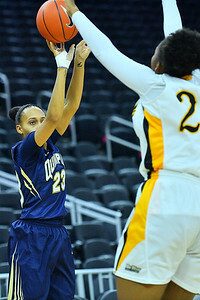 December 21, 2016; Las Vegas, Nev.; Quinnipiac Bobcats guard Brittany Martin (23) shoots over Long Beach State 49ers guard Jewelyn Sawyer (13) during the 3rd/4th place game of the inaugural Play4Kay Shootout at the T-Mobile Arena. Quinnipiac defeated Long Beach State 63-60. December 21, 2016; Las Vegas, Nev.; Quinnipiac Bobcats guard Edel Thornton (11) brings the ball up the court during the 3rd/4th place game of the inaugural Play4Kay Shootout at the T-Mobile Arena. Quinnipiac defeated Long Beach State 63-60. 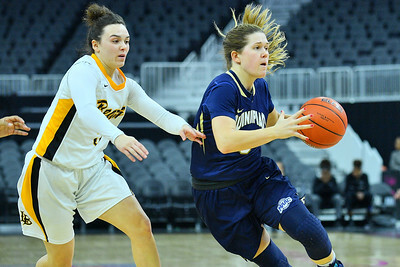 December 21, 2016; Las Vegas, Nev.; Quinnipiac Bobcats forward Paula Strautmane (4) looks to pass against Long Beach State 49ers forward Madison Montgomery (22) during the 3rd/4th place game of the inaugural Play4Kay Shootout at the T-Mobile Arena. Quinnipiac defeated Long Beach State 63-60. 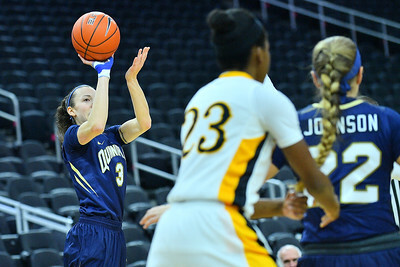 December 21, 2016; Las Vegas, Nev.; Quinnipiac Bobcats forward Paula Strautmane (4) puts up a shot during the 3rd/4th place game of the inaugural Play4Kay Shootout at the T-Mobile Arena. Quinnipiac defeated Long Beach State 63-60. December 21, 2016; Las Vegas, Nev.; Quinnipiac Bobcats guard Brittany Johnson (22) looks to pass during the 3rd/4th place game of the inaugural Play4Kay Shootout at the T-Mobile Arena. Quinnipiac defeated Long Beach State 63-60. 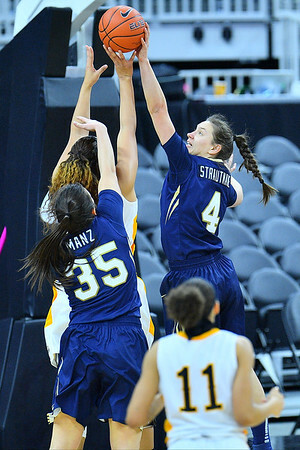 December 21, 2016; Las Vegas, Nev.; Quinnipiac Bobcats forward Paula Strautmane (4) blocks a shot during the 3rd/4th place game of the inaugural Play4Kay Shootout at the T-Mobile Arena. Quinnipiac defeated Long Beach State 63-60. 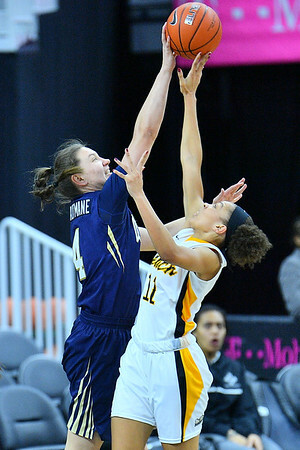 December 21, 2016; Las Vegas, Nev.; Quinnipiac Bobcats forward Paula Strautmane (4) blocks a shot by Long Beach State 49ers guard Martina McCowan (11) during the 3rd/4th place game of the inaugural Play4Kay Shootout at the T-Mobile Arena. 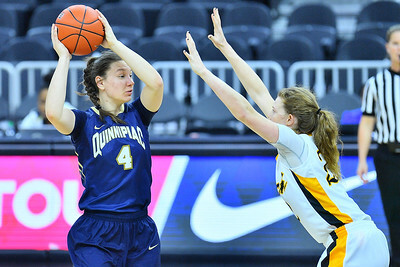 Quinnipiac defeated Long Beach State 63-60.